With most CD labelers, you are forced to use their exclusive brand of labels. 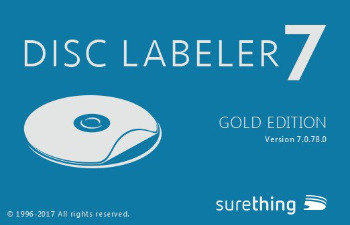 Not with SureThing Deluxe We have over 80 different cd label templates alone, including all the most popular brands. With our Template Creator, you can design your own. Of course, once you try SureThing SuperVibrant Labels, you’ll never want to change. · New Foreground effects A Foreground is a semi-transparent layer placed on top of your background image. Foregrounds add variety and depth to your design. · Improved SureThing Navigator Consider this the new headquarters of all things SureThing. Not only does this provide one-click options for creating new files, opening old ones, viewing video tutorials (Video), choosing pre-built professional designs (Gallery), and managing your own templates, but it also keeps you notified of new updates and new able content.